Downsizing your home can be very time consuming and emotional process. Whether you are downsizing to start a new beginning, save money, or sort out life. 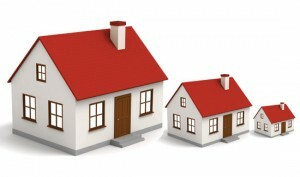 Here’s a short guide and tips on how to downsize your home. Get a head start on downsizing your home by getting rid of things you do not need nor want anymore. You should do this at least 3 months in advance of your move if possible. De-cluttering: One of the easiest things to do is de-clutter your house. When you first walk in into your home, you are greeted by things you no longer use or even work anymore. These things will be the easiest to get rid of. You can either toss them away (rather that’s recycling or garbage) or donate them. Abandoned Rooms: This one may not be as easy as the de-cluttering your home to things you see daily. With abandoned rooms i.e. garages, attics, basements, guest rooms, etc. you might have to dig out a lot of things. But just as you de-cluttered your every day areas, what you find in the abandoned rooms you can also throw it away or donate them as well. Keepsakes: Also remember how much space you have in your new place. You may not be able to keep all the bulky furniture you have or collectibles. In cases like these you can donate or also resale the items by having a garage sale of some sort. This can be a way to earn some more money for your move or just have extra spending money. Storage: What you do decide to keep but can’t take with you to your new home; you can place it in storage. Storage can be good or bad, depending on how long you want to keep your things in storage it can be rather expensive. Also having the different options of climate controlled storage space can crank up prices as well. If downsizing your home is just a short move, then maybe storage can be the best option for you. If downsizing your home is not a short-term living situation, you might have to weigh your options a little more. Need movers for your next big? Contact Garrett’s Moving & Storage at www.garrettsmovinginc.com or call us at 972-487-5843. This entry was posted in Apartment Moving, Moving Stories, Stress Free Moving Tips, Uncategorized and tagged apartment, apartment moving, condo, condo moving, dallas, dallas movers, dfw, diy, downsize, downsizing, downsizing moving, downsizing your home, fort worth, guide, home, house, how to, keepsakes, movers, moving, moving and storage, Moving and Storage Dallas, moving companies, moving companies dallas, moving company, small, storage, storage dallas, tips, townhome, townhouse. Bookmark the permalink.